Here we are at the end of 2017. Looking back, it’s been a long and strange journey, and while that is true of most years, this one had some transcendent moments and a lot of challenges. I’ve been doing a lot of writing lately, working on The Darker Lord along with some freelance projects, and I have due dates in May and June. It’s been a crazy few months, and there are still other obligations, like my day job, being a Dad and obstacles like allergy season. Still, one of the biggest obstacles I face is that feeling I get when I sit down and have to write. It’s a little like the picture to the left. 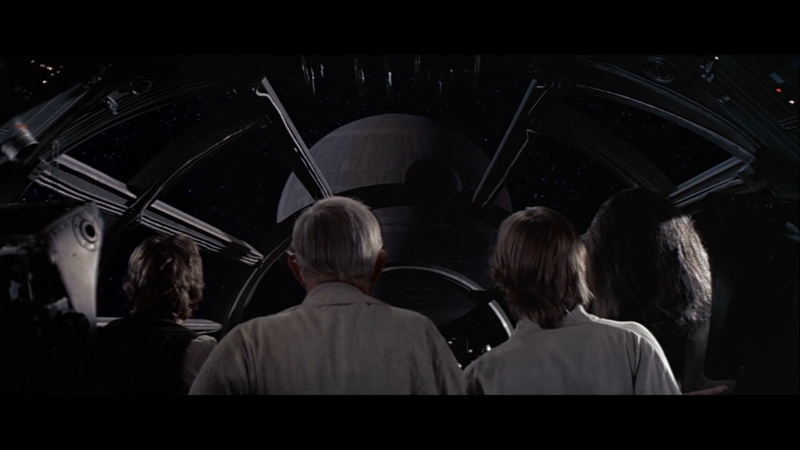 I’m staring at my equivalent to the Death Star, a blank page. It’s a terrifying experience which I think every writer has. Sometimes, you wonder who you are and where these ideas come from and are they any good? You do things even when you start writing and ask, “Should I have put a question mark at the end of the last sentence or a period?” You could even go through this entire sequence of events in your head where everyone wakes up, realizes that your writing is terrible, and you are laughed at ceaselessly. I want you to know that it’s okay. Just write. It’s simple advice and you can find it all over, but it works. As soon as that blank page is filled with something, it gets easier. You can add to it or subtract from it or rewrite it a dozen times. In the Service of the King (A Crimson Hawks Adventure), started with a simple idea and became a two page short story that I wrote when I was twenty. I wrote the novel nineteen years later, so you never know what might happen. All writers are afraid or nervous, but get started typing or writing with a pen and fill the page. It helps. If you have the chance this weekend, April 28-30, please come see me at RavenCon in Williamsburg, VA. It should be a great time. I’ll be be getting back to The Darker Lord now. All the best! So, the biggest news is that The Dark Lord is out in paperback! When John Peck and I wrote The Dark Lord, it was a shift for us from the fractured fairy-tales of The Charming Tales to a parody of epic fantasy. Probably our smartest decision was to put in as many references to geek culture as we felt the story could take, from Star Wars and Star Trek to World of Warcraft, Wizard of Oz, Lord of the Rings and a plethora of Dungeons & Dragons to boot. In addition, there’s what we believe is a pretty good fantasy story with some strong arcane mechanics behind it. I’m hoping to do a launch party in February or March, though I need to remember to contact my favorite independent bookseller, Fountain Bookstore and coordinate efforts. We decided not to do a launch celebration in December due to the holidays. 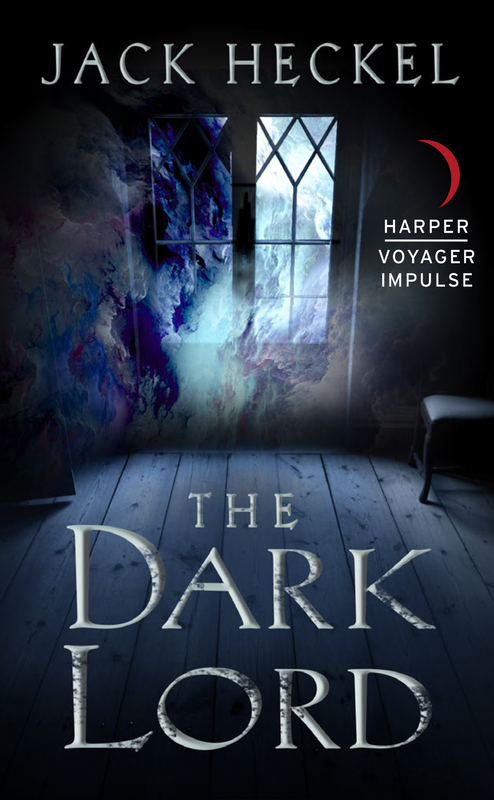 Currently, John and I are working on the next two books in the series…The Darker Lord and The Darkest Lord, and we will let the world know release dates when we do. If they are half as much fun to read as they have been to write, we’ll be doing well. I’ve got two big events in April. First, there’s the Hanover Book Festival on April 22, 2017 where I will join about 50 authors selling my books, doing signings, and meeting with readers at the Richmond Times-Dispatch building off 301 near Richmond, Virginia. I will also have a short story in the Hanover Writer’s Club anthology which should be on sale there. If possible, I may have the release of one of my Blue Oranda titles as well. The following weekend, I’ll be in Williamsburg as a guest at RavenCon for the third year in a row. Mercedes Lackey, one of my favorite authors, is the guest of honor, and we should have a fantastic time. I’ll be doing a number of panels, although I’m not sure I’ll have a table. As we get closer, I’ll come up with something fun if you find me there. Anyway, my apologies for going dark on social media. It’s been a bit overwhelming juggling the writing and life, but I think I’m back on the right track (no pun intended). I did complete Nanowrimo again, although it was a bit of a train wreck due to a freelance commitment, which I also completed. I definitely need to edit those 50,000 words before I share too much. Once Upon a Time with… Liana Brooks! Source: Once Upon a Time with… Liana Brooks!